Get to experience the traditional way of discovering Chania, one of Crete’s most inspiring prefectures. 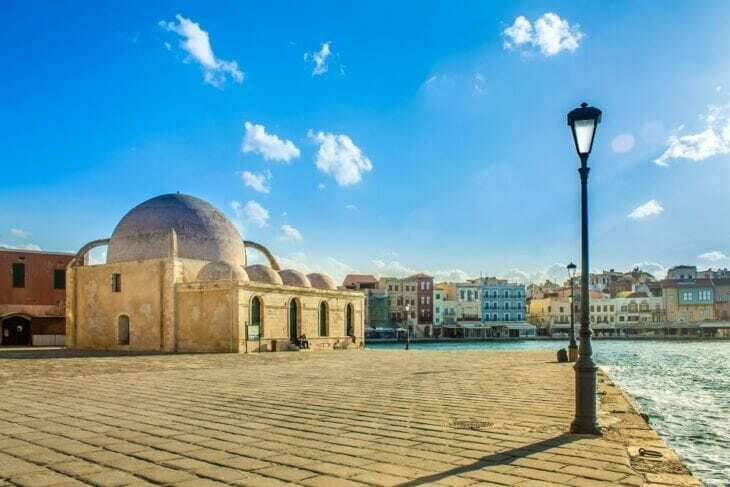 Chania is an enchanting location that simply has it all. A main harbor that is absolutely picturesque, where the passing of Venetian rule has left its permanent mark; positively striking, exotic beaches that will take your breath away and mountain landscapes covered in a veil of wilderness; a handful of traditional villages that nurture a sense of nostalgic yearning and embrace you with their congenial charm. Such is the village of Apokoronas, where the Samonas traditional villas in Chania are situated. 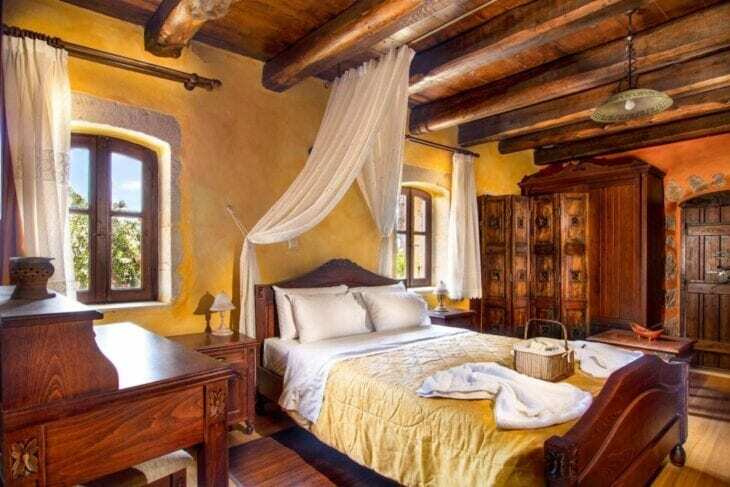 Offering an authentic Cretan hospitality experience through bucolic traditional villa accommodation for families and groups of up to four persons, this villa complex, 25 km from Chania, guarantees a luxuriously comfortable retreat like stay in Crete. 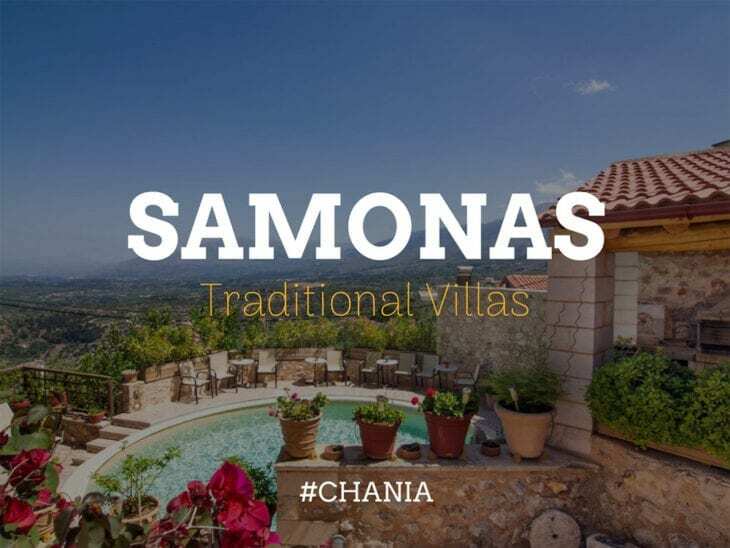 With up to five elegantly styled villas and maisonettes that date as far back as the late 1800’s, Samonas traditional villa houses in Chania are the epitome of a true Cretan holiday. The names of the villas each represent one highlight of fragrant flora that grows naturally within the fertile ruggedness of Crete’s soil. The Blue Villa, the Orange, the Green, the Purple and the Red has been inspired by marjoram, dittany, sage, sideritis herbaceous and mint are all linked to herbs that locals have long used for their beneficial properties. Each of these villas and houses has a unique layout with high ceilings, original stone walls, beech wood elements and rustic, vintage furniture and surround your days and nights with traditional elegance and contemporary facilities including swimming pool, in a quiet and serene setting. The verandas and terraces are doused in spectacular island views, from the sea to its mountainous terrains. They are fully equipped and so holidays in Chania attain a more independent feel, as guests can fully immerse into the local sense of living. The diverse beauty of Crete makes it simply irresistible. It beckons the visitor to travel it from one end to the other on a holiday adventure filled with phenomenal visuals of scenic landscapes. The best way to do this is to rent a car in Crete and plan your excursions for discovering all its natural wealth. Exotic beaches of azure waters lie just on the outskirts of Chania, like Balos, one of Crete’s most immaculate lagoon type beaches. It is one of the most photographed beaches as it also has the added charm of a Venetian fortress perched atop of the shallow island of Gramvoussa. 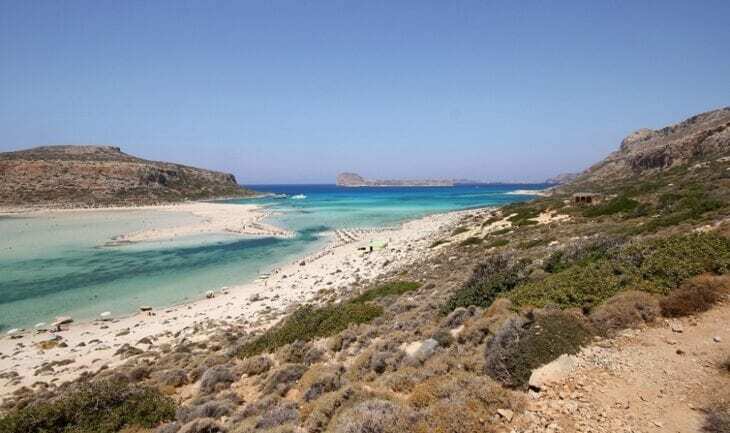 Discover all the most exotic beaches in Crete. 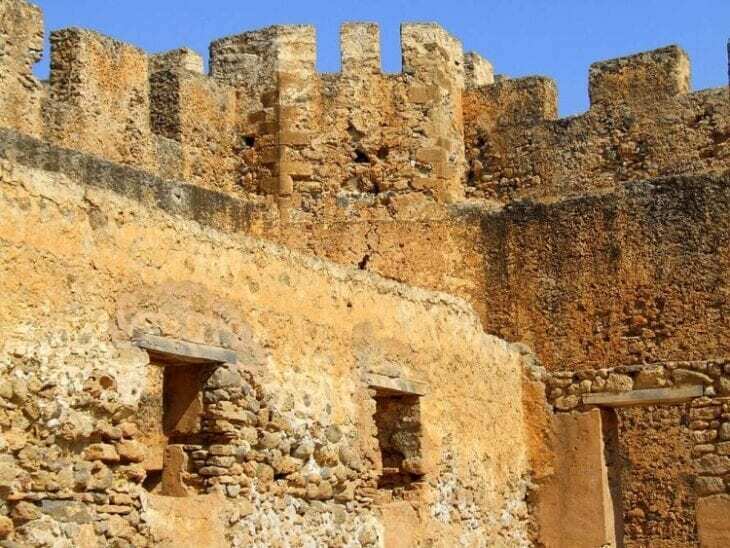 On the subject of fortresses of Crete, Frangokastello fortress in Chania is a place that also has a mystery to it. The late 14th century structure was an important site in Chania’s history, being at the spotlight of many sieges throughout the ages. Between May and July, in the evenings, legend has it that some shadows appear at the beach in front of the castle fort called ‘Drosoulites’, adding a metaphysical medieval fairytale aura. For the more active and adventurous, Crete has a few sensational gorges to trek that reveal the dramatic extent of the island’s natural beauty. 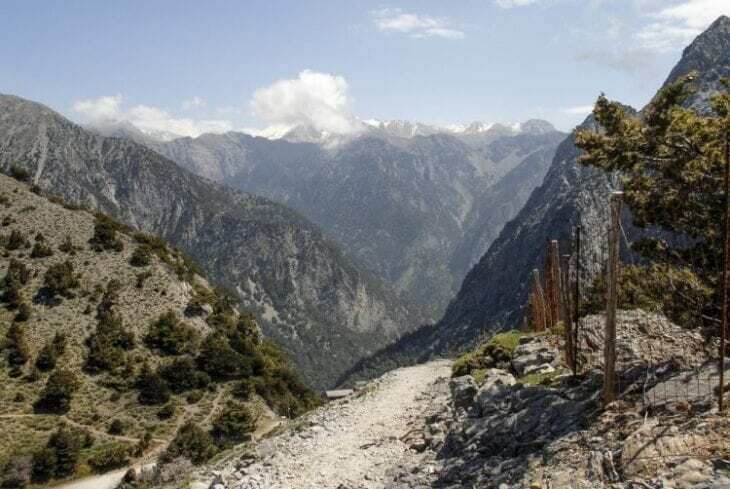 The Samaria Gorge is, of course, the most astonishing one; a natural park since the 1960s it is simply unmissable. It was created by a small river than ran through the White Mountains ‘Leyka Ori’ gradually eroding the soil, creating this immense ravine and a sense of awe for visitors. These are only a few ways by which experience the true identity of Chania. It is only one of four captivating Cretan prefectures that are all worth discovering. Have you experienced Chania yet?